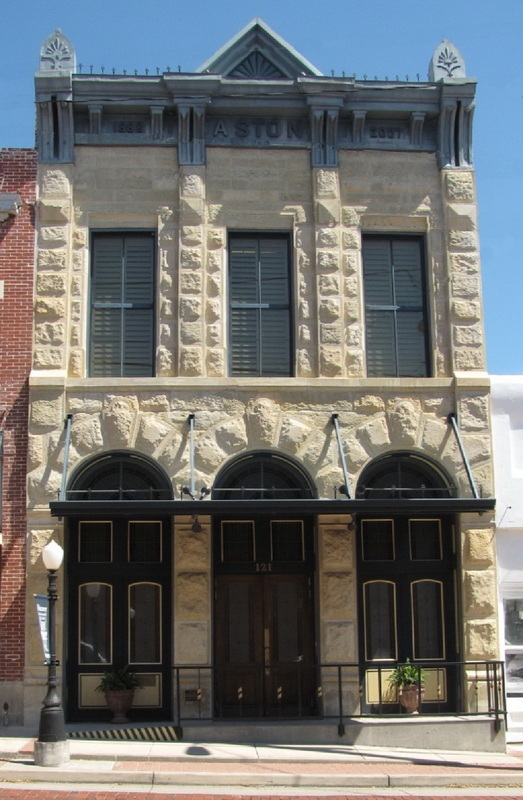 The Aston Building in Farmersville is on the National Register of Historic Places. It was built by J. A. Aston and his brother using local stone. The building has had numerous uses over the years. constructed in 1888. The building was totally rehabilitated by Bob Heath in 2007. The Aston building is on the National Register of Historic Places.